Exceptional CEREC® Crown Technology for Beautiful Dental Restoration – Faster! Dental crowns are an invaluable and highly effective way to cover an implant, correct and protect a large cavity, fill a gap or replace a missing tooth, repair a cracked tooth, and improve the look of any smile! Now, Barron Family Dental offers CEREC® same-day crowns to help patients achieve an improved and attractive smile is just one visit! Just like a traditional crown, CEREC crowns are a dental cap used to cover a tooth to provide strength and improve the look of a tooth. However, CEREC crowns are the most advanced dental technology that provides the same advantages as traditional crowns but are created and placed in a single dental visit. CEREC means Ceramic Reconstruction and each crown is created without using impression material or mouth tray. There is no jaw ache or irritation experienced, making the process more comfortable and considerably faster for patients. CEREC crowns are made from ceramic, just like the best traditional crowns. What is the CEREC Crown Process? The CEREC process can be used to create completely natural-looking dental crowns, dental veneers, and dental inlays and onlays. CEREC same-day crowns mean your crowns are created and placed in one visit! How Do I Get CEREC Crowns? CEREC crowns are one of the most innovative dental treatments ever invented. 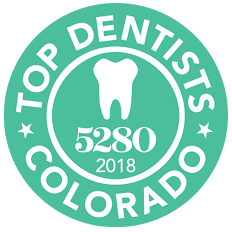 If you are interested in CEREC one-day crowns, call Barron Family Dental at (303) 284-6463 or book an appointment online to talk to the dentist about the possibilities. We are sure you will be as delighted as we are about this amazing new treatment alternative!